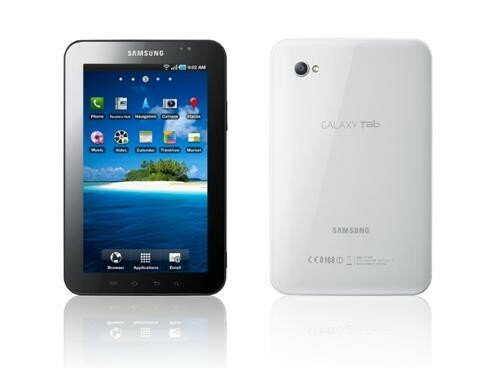 Samsung Galaxy Tab officially unveiled, we have a preview! Samsung announced its worst-kept secret that has been floating around since June - a 7" tablet running Froyo, called the Galaxy Tab. All the Google services are onboard, with a few of Samsung's own improvements, taking advantage of the big screen. The same snappy Hummingbird chipset that powers the Galaxy S and its US carrier versions, is planted inside the Galaxy Tab, and TouchWiz 3.0 with Samsung's Social Hub is layered on top of Android 2.2's UI. The tablet is destined to be compared with the iPad, but it is a different animal altogether, due to its smaller 7" capacitive LCD display with 1024x600 pixels WSVGA resolution, and the fact that it is running Android 2.2. It feels more like the missing link between a smartphone and large tablets, like the 9.7" iPad. When we add the cell phone capabilities, complete with front camera for video calling, the built-in memory, expandable up to 64GB (for the 32GB version), and the fact that it is both Adobe Flash and HTML5 capable, it becomes a very enticing offering, ready to give the iPad a run for its money. It is a much lighter and thinner device at 0.47" (11.98mm) thickness and 13.4 ounces (380 grams) weight. Not to forget it also has a 3MP camera with LED flash on the back. Samsung has tailored the Galaxy Tab experience to take advantage of the large screen. The default Froyo calendar, for example, has undergone optimization for the fact that more things at once can be shown on a 7" screen, than on a typical smartphone display. Numerous such improvements have taken place, and Samsung has thrown onto the tablet a few multimedia Hubs to make sure your time with it is well spent. The Readers Hub gives you access to millions of books and thousands of magazines for reading on the go, and the upcoming Media Hub and Music Hub will be giving you the option to buy or rent tunes, movies and TV shows. Of course, video can also be sideloaded, given Samsung's devices traditionally rich codec support, and the full HD video playback capabilities of the Hummingbird chipset. The 4000mAh battery is rated for 7 hours of movie playback. To cap it off, the full Google services suite is present on the Galaxy Tab, unlike some half-baked solutions on other Android tablets or smartphones we've encountered. Google Maps Navigation beta makes it a 7" voice-guided navigational device (in countries where turn-by-turn is supported), and the tablet has full access to Android Market and Samsung Apps, where we are positive applications will soon be proliferating for that exact same resolution. Recently we had the chance to play with a Galaxy Tab prototype, so head over to our preview, complete with pictures and video samples from the 3MP camera. The Samsung GALAXY Tab will be available in Europe in mid September, and in other markets, including Korea, the US, and Asia, in the coming months. 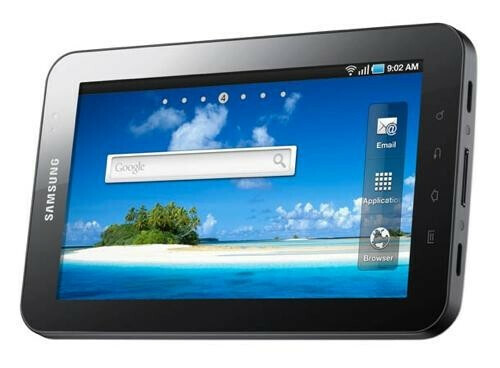 In a Q&A session Samsung officials have confirmed that there will be a variety of tablets coming from the company next year, including one running Android 3.x (Honeycomb). 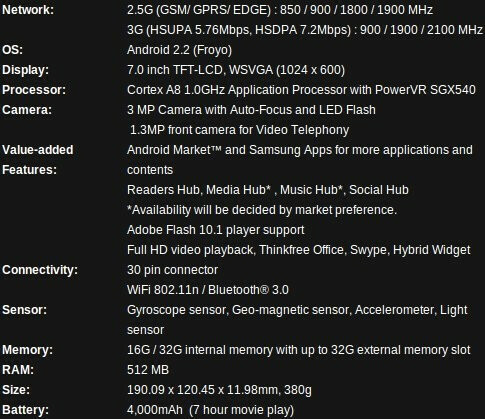 A full list of the Galaxy Tab specs can be found below, there is no official confirmation on the price range yet. GO Android!! This could be huge with the proper marketing, word of mouths isn't gonna move the units. If Verizon can offer no contract data like the iPuck....Apple will feel it as legit competition, and all the pluses for the consumer...the pricing could be an issue. Any details confirmed? SAMSUNG should used aluminum body, super tough and scratch resistant glass like iPhone. Plastic body feel cheap and not fancy. Your right they should have made it JUST LIKE the iShit so they can get sued by (Blow)Jobs....Good call! BOOOOOO on the USB (30 PIN connector) The rest is awsome!!!!!! So is this 30 pin connector the typical samsung proprietary port? If it is that is definitely a but no for me buying one. I am sick off proprietary charging ports that are inefficient and less usable than standard USB... just pay intel the patent rights and be done with it... Talking to you Apple and Samsung. Nothing stands out....nothing at all?? Your a tard, IMHO. And it was only a year ago everyone laughed at Apple saying a tablet would never be successful...I'm glad we are seeing more of these. I still don't think this is the future of the portable computer, but with tablets, notebooks, and netbooks, I think we are definitely in a good stop.